We ride four days a week. All details below. Most rides cater to the more experienced rider although we do have a run open to all abilities on a Wednesday morning. All runs start from the Dog Inn at Whalley unless otherwise specified. If you would like to join us for a run to see what NLRC are all about please contact us via social media or the form below so we know to expect you and can confirm times/days. If you’re new to cycling or unfamiliar with group runs please see our guidelines below to get the most out of your ride. Tuesday Runs: These are a morning Club run, we meet at 9.30am at the Dog Inn, Whalley. These rides can average around 16mph. 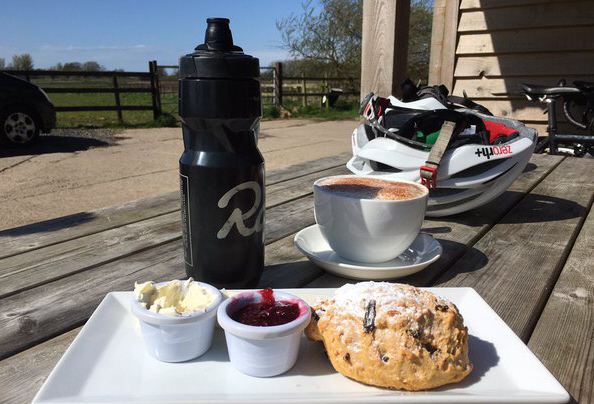 A typical route might be hilly and cover in excess of 60 miles with a cafe stop roughly halfway. Wednesday Runs: These are technically an ‘unofficial run’ for the less experienced rider and are a fun way to learn how to ride in a group. 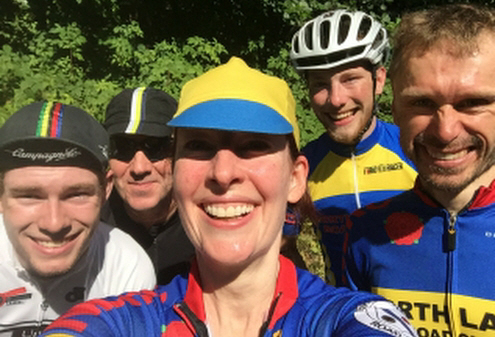 Often Weds run riders go on to join the Sunday runs. Open to non-members we meet at 9.30am at Spring Wood picnic area just outside Whalley. There is a large car park for those who wish to drive and start from there. Runs average around 12mph+ and will cater to the slowest in the group. An average run length of around 40-50 miles is covered with a cafe stop roughly halfway. To make sure the ride is on please call Harry Haseley on 01254 885611. Thursday Runs: A morning training run for the more advanced member riders. These rides are fairly fast-paced and average around 17mph. A typical route might be hilly and cover well in excess of 50 miles. Various different meet points to start, although all riders then convene at Scorton Barn cafe between 11-11.30am for lunch. Interested members should visit the forum for more information. Sunday Runs: This is the main weekly Club run and leaves the Dog Inn at 9am all year round. A cafe stop is had roughly halfway, courses vary from fairly flat runs to hilly runs. Sometimes this run might be split into two if there are many new riders wishing to join. A typical Sunday run might average 70-80 miles in the Summer and 50-60 miles in the Winter. 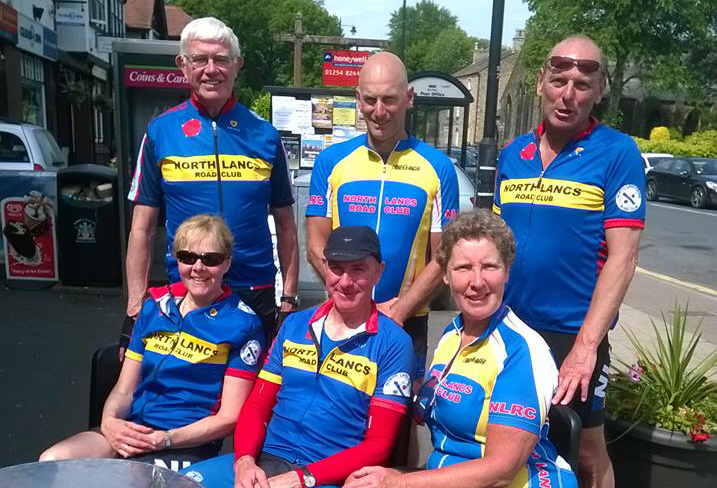 THE CLUB RUN IS A SOCIAL GET TOGETHER WITH LIKE MINDED CYCLISTS. OUR AIM IS THAT THE RIDES ARE ENJOYABLE FOR ALL. 2. THE TWO PEOPLE AT THE FRONT SET THE PACE WHICH SHOULD BE APPROPRIATE FOR EVERYONE TO KEEP UP. 3. EVERYONE SHOULD SHOUT WARNINGS WHEN A DANGER IS NOTICED e.g. POTHOLE AHEAD . 4. THE RIDE IS A SOCIAL RUN NOT A RACE BUT A LITTLE FUN SUCH AS A SPRINT FOR A TOWN SIGN OR HILL CHALLENGE IS ACCEPTABLE WITH A FOLLOWING RE-GROUP .